An Uber car waits for a client in Manhattan in June 2017. A study from MIT says most drivers are making less than minimum wage. The vast majority of Uber and Lyft drivers are earning less than minimum wage and almost a third of them are actually losing money by driving, according to researchers at the Massachusetts Institute of Technology. A working paper by Stephen M. Zoepf, Stella Chen, Paa Adu and Gonzalo Pozo at MIT's Center for Energy and Environmental Policy Research says the median pretax profit earned from driving is $3.37 per hour after taking expenses into account. Seventy-four percent of drivers earn less than their state's minimum wage, the researchers say. Thirty percent of drivers "are actually losing money once vehicle expenses are included," the authors found. The conclusions are based on surveys of more than 1,100 drivers who told researchers about their revenue, how many miles they drove and what type of car they used. The study's authors then combined that with typical costs associated with a certain car's insurance, maintenance, gas and depreciation, which was gathered in data from Edmunds, Kelley Blue Book and the Environmental Protection Agency. Drivers earning the median amount of revenue are getting $0.59 per mile driven, researchers say, but expenses work out to $0.30 per mile, meaning a driver makes a median profit of $0.29 for each mile. "While the paper is certainly attention grabbing, its methodology and findings are deeply flawed. We've reached out to the paper's authors to share our concerns and suggest ways we might work together to refine their approach." 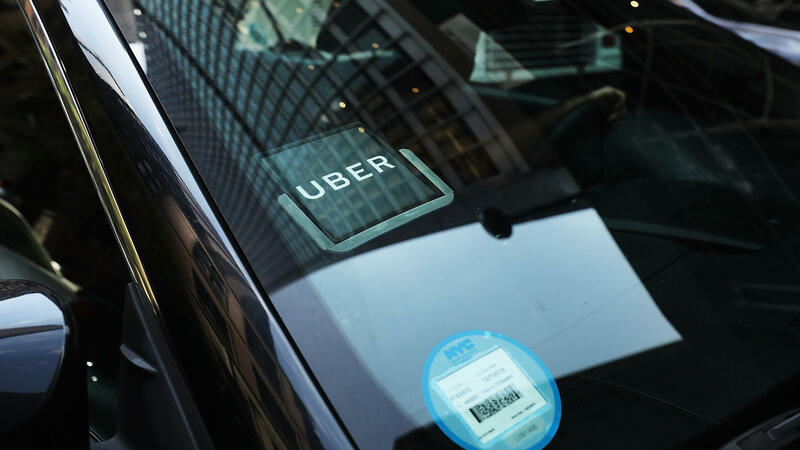 The newspaper also noted, "Other studies and surveys have found higher hourly earnings for Uber drivers, in part because there are numerous ways to report income and to calculate costs and time and miles spent on the job." MIT authors also calculated that it's possible for billions of dollars in driver profits to be untaxed because "nearly half of drivers can declare a loss on their taxes." Drivers are able to use the IRS standard mileage rate deduction to write off some of the costs of using a car for business. In 2016, that number was $0.54 per mile. "Because of this deduction, most ride-hailing drivers are able to declare profits that are substantially lower," researchers write. "If drivers are fully able to capitalize on these losses for tax purposes, 73.5% of an estimated U.S. market $4.8B in annual ride-hailing driver profit is untaxed," they add. According to MIT researchers, 80 percent of drivers said they work less than 40 hours per week. An NPR/Marist poll in January found that 1 in 5 jobs in the U.S. is held by a contract worker; contractors often juggle multiple part-time jobs. Uber and Lyft both have "notoriously high" turnover rates among drivers. A report last year said just 4 percent of Uber drivers work for the company for at least a year. NPR's Aarti Shahani reported in December that Lyft began a program to give drivers "access to discounted GED and college courses online" in a recruiting effort. It was only last year that Uber introduced the option to tip drivers into its app for customers. Recode listed the initiatives Uber rolled out in 2017 in order to appeal to drivers, including 24-hour phone support, paid wait time and paying drivers if customers cancel after a certain amount of time. Both Uber and Lyft have been fighting legal battles for years against initiatives to classify their drivers as "employees" instead of "independent contractors" — meaning drivers don't receive benefits like health care or sick leave.